Shy, sensitive April (Emma Roberts) is the class virgin -a popular soccer player and frequent babysitter for her single-dad coach, Mr. B. (James Franco). Teddy (Jack Kilmer) is an introspective artist whose best friend and sidekick Fred (Nat Wolff) is an unpredictable live wire with few filters or boundaries. While April negotiates a dangerous affair with Mr. B., and Teddy performs community service for a DUI - secretly carrying a torch for April, who may or may not share his affection - Fred seduces Emily (Zoe Levin), a promiscuous loner who seeks validation through sexual encounters. One high school party bleeds into another as April and Teddy finally acknowledge their mutual affection, and Fred's escalating recklessness spirals into chaos. Adapted from James Franco’s first collection of short stories, Gia Coppola’s startling film captures the loneliness and frustration of fragile adolescents left to flounder among real-world perils. 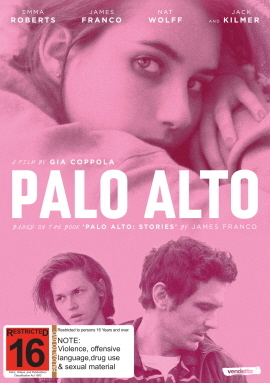 "The best feature film directed by someone named Coppola in a number of years, Palo Alto is a dreamy looking, unsensationalized portrait of badly behaved residents of a notably affluent California town." "One of the best movies ever made about high school life in America. " 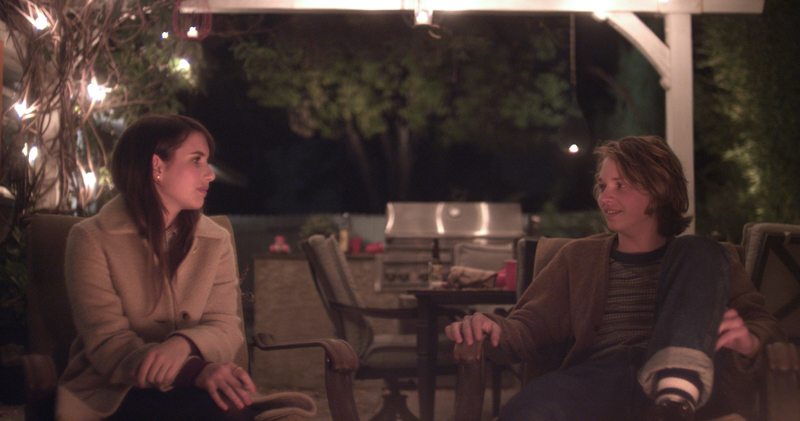 "A remarkably assured feature debut with "Palo Alto."